I’m Ed Smith, an Elk Grove motorcycle accident lawyer. 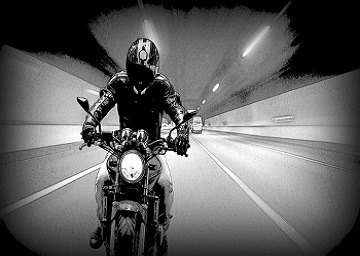 Motorcycle accidents can leave the rider with severe injuries or cause the sudden death of a loved one. Accident reconstruction is a valuable tool in determining how the crash happened and assigning fault. 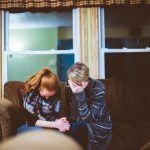 When there is an issue involved as to who caused an accident, contacting an experienced personal injury lawyer is a positive step to claim fair compensation. What Do Reconstructionists Do at the Accident Scene? Are People Who Perform Accident Reconstruction Professionals? Experts who are trained in accident reconstruction study both physics and engineering in a professional setting such as a university. They learn how to reconstruct an accident, and there is a lot of science involved. They begin the crash reconstruction by using evidence that is already known such as damage to the vehicles and the final position of those vehicles following the crash. 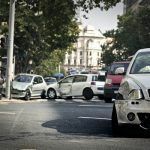 Some of the things that a reconstructionist can determine are the behavior of the drivers, speed at which the vehicles were moving, the visibility of the drivers before the crash and additional factors. Training for accident reconstructionists was standardized in 1985 by the National Highway Traffic Safety Administration. Injuries to the upper extremities constituted 30 percent of the injuries such as broken bones, lacerations, abrasions and road rash. Head injuries and neck injuries made up 22 percent of the injuries, including traumatic brain injuries. Chest trauma made up the third-highest number of injuries. 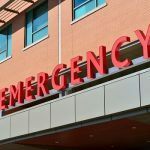 The next highest frequency of injuries in a motorcycle accident occurred from abdominal trauma and included organ damage, hip fractures, and fractures of the pelvis. The legs and feet constituted the least likely body areas to be injured but, as in the upper body, could include road rash and broken bones. I’m Ed Smith, an Elk Grove motorcycle accident lawyer. 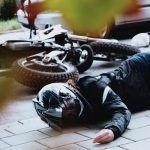 Proving fault in a motorcycle accident can be complicated and benefits from an experienced injury lawyer. If you or a family member has been injured due to negligence by another individual or entity, call me at (916) 694-0002 or at (800) 404-5400. I am here to offer you free and friendly advice. If it is more convenient, access our online form at AutoAccident.com. Checking reviews of a law practice can help you decide who to phone when you need help. Find mine at Google, Avvo and at Yelp. For a list of some of our prior cases and how they concluded, go to Verdicts and Settlements. For over 35 years, I’ve assisted personal injury victims in Elk Grove and Northern California in cases such as vehicular accidents and in wrongful deaths. One group I am honored to belong to is at milliondollaradvocates.com. It was established to recognize the top trial lawyers around the country who have demonstrated the ability to win million dollar verdicts and settlements.